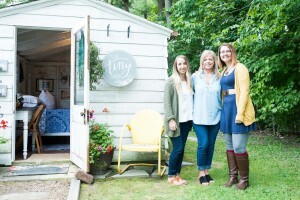 Created by friends Kirsten Moore and Melissa Hitzemann, Old Fort Tee Company sells hand-printed T-shirts which “celebrate the charms of Indiana’s second city.” Moore, merchandise manager for Vera Bradley, and Hitzemann, a photographer and graphic designer, combined their respective talents and affection for Fort Wayne after a joke at a dinner party in 2016 provided a little inspiration. 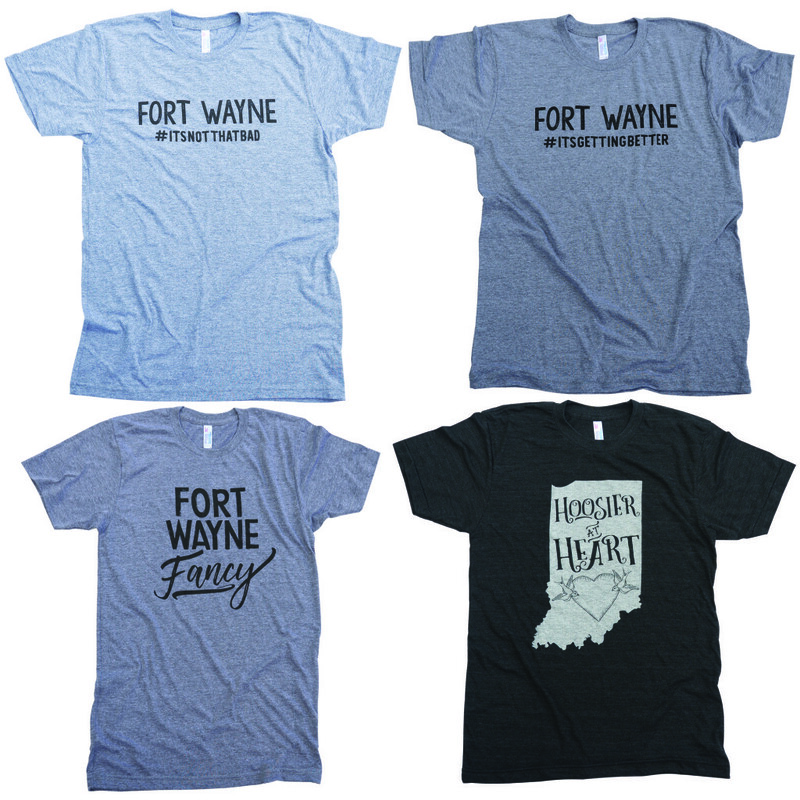 The first two designs feature the cheeky but not mean-spirited hashtags, Fort Wayne #ITSNOTTHATBAD and Fort Wayne #ITSGETTINGBETTER, which have delighted friends, family and customers. The Fort Wayne Fancy design is quickly proving to be standard-issue gear for stylish Fort Waynians with a good sense of humor. 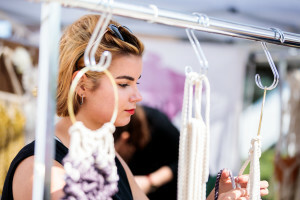 Old Fort Tee Company started selling at the Barr Street Farmer’s Market and, shortly after, launched its ecommerce site. The designs are printed locally by Pulled & Pressed–a side business of friend Nick Morken–on soft, high-quality, unisex, made-in-the-USA (elements which are important to the brand) shirts. Now with four current designs, the duo plans to expand into even more offerings that appeal beyond Fort Wayne, with Hoosier- and Midwestern-themed designs as well as different shirt styles and colors, sweatshirts and some merch for kids. The shirts retail online at OldFortTeeCo.com for $28, but are sold at local markets for $25.